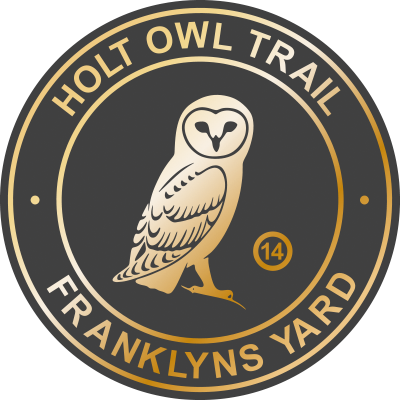 The Holt Owl Trail now turns off Bull Street and leads through Franklyns Yard to a recently completed complex of shops overlooking the Albert Street Car Park. Three dry wells and a cellar were discovered when the building work took place. The deeds of the property revealed that ‘Franklyns Yard’ was formerly named ‘Hulls Yard’, names that may have originated from tenants living in rows of small cottages that were demolished in order to construct the car park. 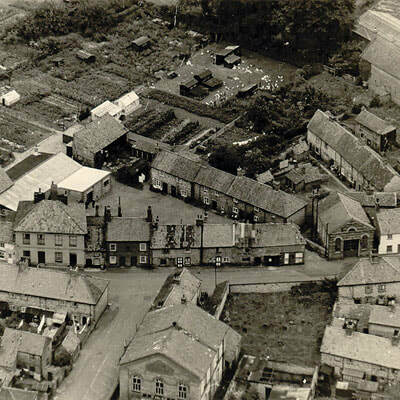 Early aerial photographs reveal extensive allotments and smallholdings once occupying land behind the cottages. 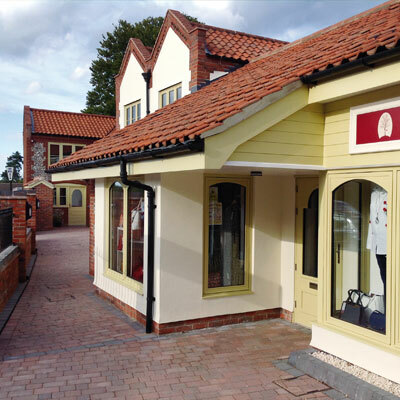 The remaining cottages have been restored into a complex of retail units found in Chapel Yard today. A 16th Century fireplace was uncovered during the building work. Please take care as Plaque 15 is situated at the entrance of the Albert Street Car Park.